Entering the Post-graduation courses after MBBS in Nepal has become a tough exit for the Medical Students. Due to limited number of PG ( MD, MS, M. Sc) seats in Clinical Medicine and Basic Science in comparison to rapidly growing MBBS graduates in Nepal, the problem has become imminent now. Only Donation or Payment Scheme is available. No Scholarships yet. PG program via KU is carried out in the affiliated colleges, in and around the country. Cost as set by governing body is 22-25 lakh Nepali currency. Total number of seats have been inconsistent because of NMC. Eligibility: 1 YEAR experience needed after MBBS from NMC recognized Medical college. Specially scholarship quota for abroads. Includes Full Scholarships seats in all available subjects. Payment seats have been collapsed. Loksewa seat are reserved in each session. A 5 year bond after PG has been applied. 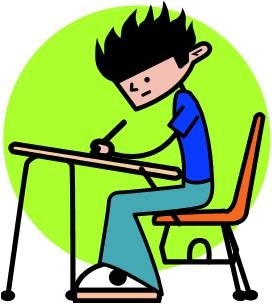 Exam: End of March or 1st week of April . Indian PG is one of the TOUGHEST entrance examinations in ASIA. But INDIA has provided foreign seats. Nepalese have to compete for the foreign seat and probability is better this way. Controversially has increased Loksewa seats against Open category. Foreign quota has been increased. 11. UK: PLAB 1,2 ,3 and still have to be lucky to get into PG. It is known to be very difficult one. 13. Bangladesh: Passing PG from Bangladesh has been known to be very tough. But more students are flocking into Bangladesh as PG seat are becoming virtual in Nepal, India. 14. Republic of the Philippines : Recent trend has been to form a group and fly to Philippines for PG. An easier destination but lower in choice. But recently Kathmandu University has denied to provide any faculty quota for specialists passing from Philippines. Issue is, many PG course are run in private and non-university hospitals with/without Thesis. 15. Denmark: Not well explored area. But have to get language course first. 16. Germany: PG degree from Germany is well-reputed and free as well. Language is required. Here is an experience of a foreign graduate from the University of Frankfurt who discusses all aspects of student’s life in germany including fees, language, living cost, lifestyle and training required. 17. 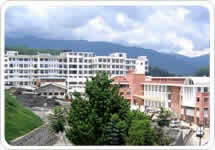 China : A good option for Nepali students. Specially for students who studied MBBS in China as they are adapted to the language and condition. China is rising up as a good destination because it provides good stipend and many doctors passing out from China have made remarkable status in Nepal. 18. Japan : Exam May-June. Japan provides scholarship for PG, PhD 5 years course. Stipends are offered to Nepali students. Exam is taken by the Japanese embassy and is one of the fairest competition. 20. Canada – Canadian Medical Licensing Examination. Sources: Researched article from internet, RPG, PG forum India, KU and TU websites. like to acquire a post graduation in hepatobiliary surgery. You need to Super-specialize (MCH degree) to become a Hepatobiliary surgeon. Such seats are available around the Medical colleges in India and few colleges in Nepal. In some countries like Bangladesh and Japan , you can directly go for Sub-specialities. which one is the best abroad destination among them except the tough ones USMLE and PLAB?? 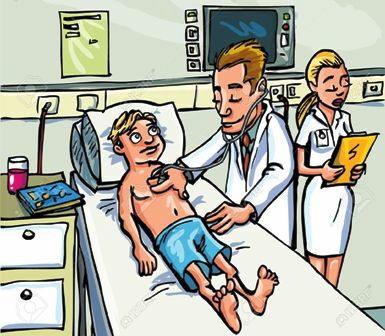 I want to specialize in Cardiology after MBBS! How can i get the mbbs scholarship? which one is the best abroad destination if i am to do my postgraduates that is affordable and that i can earn my expenses well during the period….plz few names of the institutions that are affordable or providing partial or full scholarships.. Which country are you from? And in which country do to wish to join post graduate courses? i have completed mbbs from nepal tribhuwan university want to do MD paediatrics or MS general surgery..is there coleges in india for direct addmission with minimum fees..i dont want premier college..
hai.i graduate medicine from philippines ,PG from PH is reg in india???? Can I get some more info on Ireland as a choice. ? How is the licence exam? Is it easy to get into pg programs? Anyone with any ideas? are foreign pg residents paid stipend in india (aiims/pgi) ?? I am a query sir.What are the requirements to appear md ms entrance exams in Nepal. Suppose I complete by MBBS with a year internship then is it required to work as a medical officer for a year or more to be eligible to appear the entrance exams?? I mean if a year experience as a M0 is required then..depending upon my final university exams result date and the entrance exam for md ms.. this will make everyone spend around 2 years before getting to appear the entrance exam as my experienced as MO wont a year when the exam commences. This is the current problem with Nepal MD/MS, no one cares , just create policies and change as per own wish. I just completed my 1 year rotatory internship in Manipal. I am wishing to study in Nepal itself but getting a PG seat is becoming more and more virtual due many MBBS seat and very very less PG seats. As per KU, BPKIHS IOM NAMS.. all want expirience of being a Medical officer of a year. But i guess IOM exams are to be held this winter.. and all the MBBS graduates are being a pendulum. However which Bangladesh universities are recognized by NMC for PG ?? Following colleges are WHO and NMC recongnized in Bangladesh. But since the list undergo changes from time to time. It’s wise to ask about the unviersity you wish to go with the council itself. I have done my MBBS from Kathmandu University, but had a suppli in 1st year, would that be a hurdle for me when applying for PG courses outside Nepal? As in Europe or USA/Canada. Are there any kind of scholarships for foreign students which I can prepare for? Currently, I am a 4th year student and have cleared all my exams so far. Failing should not be a problem for PG. 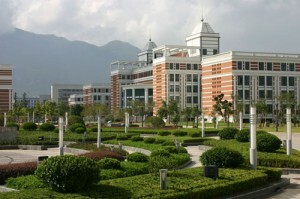 Scholarships are available for PG in China, Pakistan, India and Bangladesh. Thanks, is it the same for US and European countries? I have completed my MBBS this year, 2016. I want to know the procedures to get csc, china government scholarship. Can I get the csc for 2016? I have passed hsk level 3 and my grade is 2.7.
if someone passed bsc nursing …and wanna appear in md ..by equal competting to those of mbbs student for MD SEATS.. is there any provision for such student … m nt talking about specific seat … just by free competition if he/she wanna try what we can do …. Does Australia, UK, USA, Canada, Germany provide scholarship for pg? ?I am currently pursuing MBBS from Kathmandu University, was cursious about procedure and cost of postgraduation in these countries. Thanks for help! HI I WANT TO DO POST GRADUATE DIPLOMA SEAT IN SKIN FROM NEPAL. I HAVE DONE MBBS FROM INDIA. There is no Diploma training in Nepal, go for MD. For India, you need to pass the entrance exam PGI or AIIMS. USA: Pass USMLE and apply. Australia: Pass AMC and apply. All are free. USA and Australia pay you while you do your residency. But the cost of taking the exams and travel is all yours.